In the previous blog – we looked into getting Logic Apps CI/CD using ARM Template Parameter, we briefly touched on logic app definition parameter. In this post, we will look further into using Logic app definition parameter as an intermediary and the benefits of doing so. so the obvious question is how we can leverage Logic App parameters as an intermediary and why to do so? 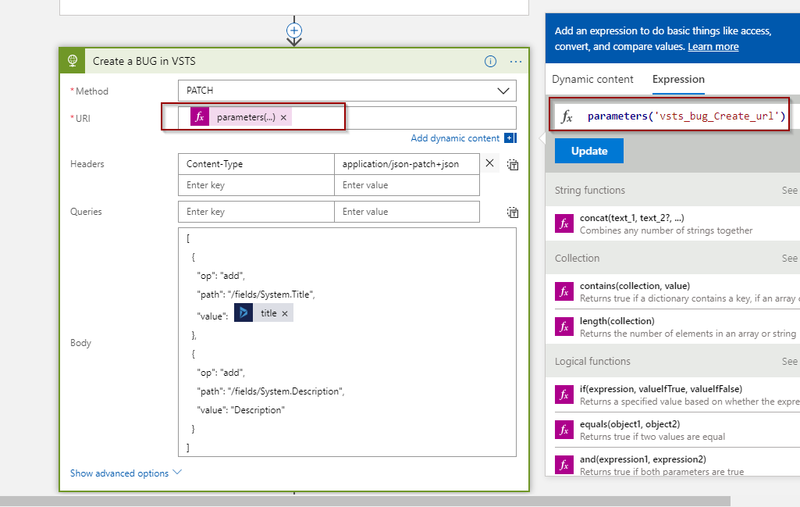 In the previous blog – we looked into working with Logic Apps from Visual Studio, which allowed us to manage logic app code in TFS or Git or any other source control system. But to truly do DevOps for Logic Apps while integrating with Dynamics 365 you need to be able to do ALM process for Logic Apps better yet do continuous delivery/deployment. when we are editing and deploying a Logic app in Visual Studio we are actually editing an ARM Template, So what is an ARM template? ARM templates are JSON format template, it enables you to deploy Azure resources in a declarative manner and could be used to define all the resources in a resource group. To add a resource in ARM template, resource details are declared under resources properties, there could be multiple resources. Below is a sample of Empty Logic app added to empty ARM Template. In this post I’ll discuss Data Integration using Azure Logic App Service, we will create a Logic app that gets triggered when a case is created in Dynamics 365 and inturns creates a work item in Visual Studio Team services for the team to work on. Visual Studio Team services account (SignUp link).